Boston, MA – January 21, 2019 – Connected2Fiber, the leading cloud platform built for the connectivity industry, announced today the launch of their newest product, Configure, Price, Quote (CPQ). CPQ is a cloud-based product catalog and quoting tool that enables users to quickly and intelligently create price quotes with automation, combined with granular, location-based insights. Quoting procedures in the connectivity space are currently heavily manual and reliant on email, spreadsheets, and personal networks. These inefficiencies ultimately lead to lost opportunities due to untimeliness of responses and a decrease in win rates and margin due to a “peanut butter spread” approach to pricing. Connected2Fiber CPQ solves these critical challenges and replaces spreadsheet-based, manual quoting with robust Configure Price Quote functionality while ensuring sales teams always have the most up-to-date product and pricing information, combined with comprehensive, location-based data. CPQ provides tremendous value to organizations like network service providers in three key areas. First, CPQ improves quoting productivity and reduces quoting time from weeks to minutes by leveraging Connected2Fiber’s market data related to location serviceability and a robust product catalog and rules engine. CPQ’s intersection analysis will confidently qualify whether or not a bid would be a good fit with a network footprint in the first place. Secondly, win rates on quotes are drastically improved by leveraging trusted, location-specific competitive and demand data to identify price points needed to secure a deal. 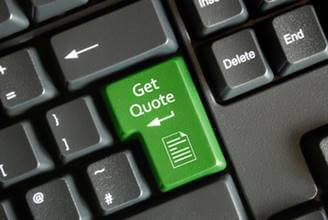 Finally, CPQ optimizes price points and margins by quoting on a per-location basis. CPQ can standardize pricing through a variety of dimensions such as by product, speed, connectivity status, competitive environment, entity type, geography, and distance to location. Connected2Fiber is the industry cloud for connectivity, empowering networks to create, standardize, enhance and share location serviceability, accelerating leads through the funnel, and unleashing growth. Connected2Fiber’s visual interface allows sales teams and B2B marketers to target the best locations with the full perspective of serviceability, demand and competitive dynamics. Seamlessly integrated with the rest of their sales and marketing technology stack, B2B marketers gain critical insights to better allocate their marketing resources and increase participation with their prospects in The Connected World. Visit Connected2Fiber on the web at www.connected2fiber.com or follow us on Twitter @connected2fiber.